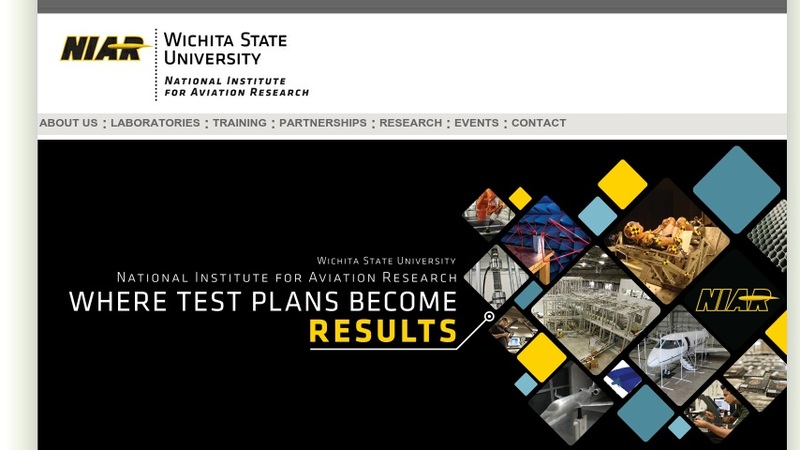 The National Institute for Aviation Research (NIAR) at Wichita State University houses numerous laboratories conducting research and development, education, testing, certification, and technology transfer for the aviation industry. Current research includes Crashworthiness, Dynamic Seat Certification, Airframe Design and Analysis, Composites Material Testing, Aerodynamics Design and Testing, Human Factors, CAD/CAM Education, 3D Prototyping, and Aeroacoustics. The links from the main page list contact information for the different labs, but the sidebar link to Research Labs will take you to individual websites where some general information on the facilities, projects, and workshops are provided. The laboratory with the most information available online is the Aging Aircraft website. Also, the Wind Tunnel website includes a history and rich description of the tunnels used for research.